At some stage in our career we will all be confronted with the need to have a difficult conversation. You know the type… the type that makes your stomach lurch and has you wanting to do everything but have that conversation. It could be dealing with a customer complaint, providing negative feedback to a team member or letting someone know that their employment has been terminated. Whatever the nature of the conversation is, they all involve an element of risk. They are often scary and rarely easy but always necessary. 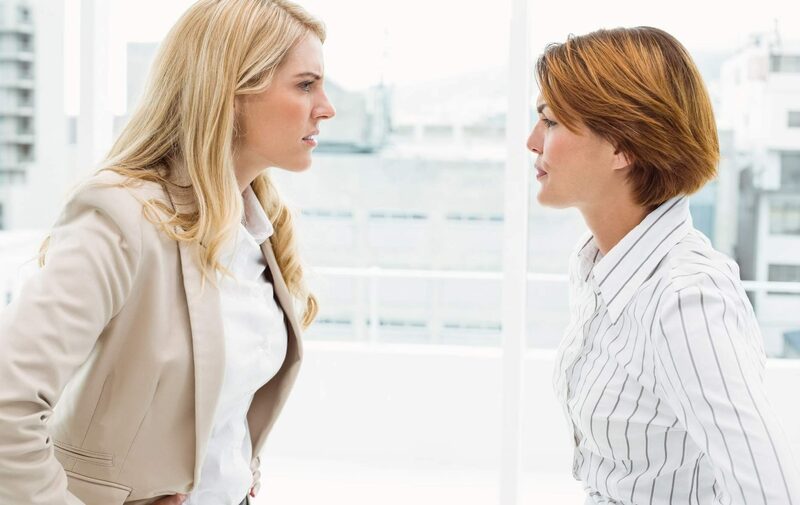 Our innate biological instinct to avoid pain and discomfort along with the fast paced, high pressure of our work, often have us avoiding these types of conversations. Unfortunately issues that are left unaddressed can potentially worsen, destroy trust, undermine teamwork, damage engagement and limit the likelihood of a successful outcome for all. Your reputation with your team is also on the line. If issues are left to fester, your team will start to question your effectiveness and your commitment to tackle the difficult issues. Courageous conversations provide you with a clear pathway to building relationships, growing your influence and allows you to set clear expectations and standards with your team. Even writing about this topic brings up for me old feelings of anxiety and my own personal torture that comes from putting something off, that I know has to be done. I was a master at telling myself that the problem would sort it self out with time or create more urgent and pressing matters to attend to rather than addressing the challenging conversations as they arose. And you guessed it, burying my head in the sand only magnified the problem and impacted my business results. Difficult conversations are scary because the stakes are high, but the cost associated with ignoring the problem is often even higher. Now is the time to stop procrastinating and make the conversation happen. The following keys will help guide you to achieving an optimal result. 1. Manage your emotions. Difficult conversations can often be emotionally charged. By remaining calm and in control of your emotional energy you will set the tone for the meeting. Emotions are highly contagious. Your power lies in your ability to remain grounded and focused on the outcome. Don’t let others poor behaviour be an excuse for yours. 2. Seek a common goal. Take the time at the beginning of the conversation to clarify the higher common purpose or goal. Very often we are striving for the same goal but conflict arises when we differ in the approach, standards or expectations. By clarifying that you are actually seeking the same common goal will diffuse some of the tension right from the outset. 3. Separate story from fact. The story is often super charged with emotion. Clarify your opinion while respecting the others point of view. Address behaviours not the person. Avoid pointing fingers, blaming or making vague accusations. 4. Listen to understand. Avoid the temptation to do all the talking and race straight to solution mode. Resist making assumptions and come from a place of genuine curiosity and a desire to understand the others point of view. Step into their shoes for a moment to see the situation from their perspective. Listen and acknowledge where they are coming from before sharing your views on the situation. As Stephen Covey says in his book 7 Habits Of Highly Effective People – seek to understand before seeking to be understood. 5. Be future focused. Stay focused on a working towards an agreeable outcome and what needs to change or improve. Set clear expectations and document agreements on what each party commits to do. 6. Speak powerfully. The way you convey your message is important. Speak with confidence and certainty. Neuroscience has proven that powerful, positive language has a profound impact on our own and others behaviours and outcomes. If you don’t yet feel confident…. act as if you are and over time and with practice you will be! For more about building confidence check this out. 7. Prepare and practice. Difficult conversations are just that… difficult. They require practice. They do get easier and you will become more effective with practice. Ensure you take the time to prepare, getting clear on the outcome you wish to achieve and setting yourself up for success with a sense of calm and certainty. Whatever your profession, position or level of experience… it is inevitable that you will come across the need to have difficult conversation that requires you to be courageous, step outside your comfort zone and take a risk to address the issue. Keep in mind what is at stake. If you stay silent and tiptoe around the issue your reputation, team moral, trust, relationships and ultimately organisational results are on the line. By taking action and addressing issues as they come up you will build your influence, your impact and your career success…. one conversation at a time. So be bold, listen bravely and believe that you can.